D.M. Boyd Dark Divot – a custom blend of sand, compost and peat. A nutrient package is added to provide optimum nutrient levels to ensure quick and consistent germination. Available in bagged or bulk. D.M. 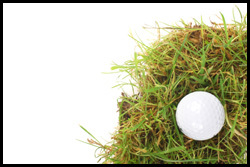 Boyd Green Divot Mix – is a custom dried blend of sand and peat with a nutrient package. The green dye is baked on and will not wash off or fade in the sun. Available bagged or bulk.